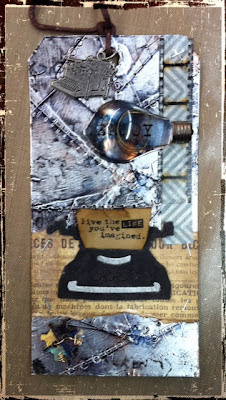 I had hoped to change things up a bit more, but I love how Tim used the typewriter die, so had to have it and use it! 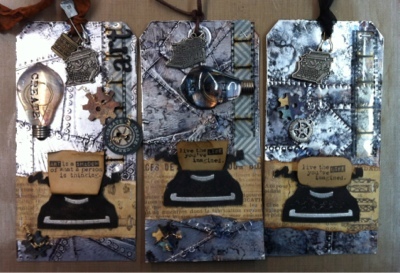 The basic tag follows Tim's instructions from his blog, but we each went our own way with embellishments... 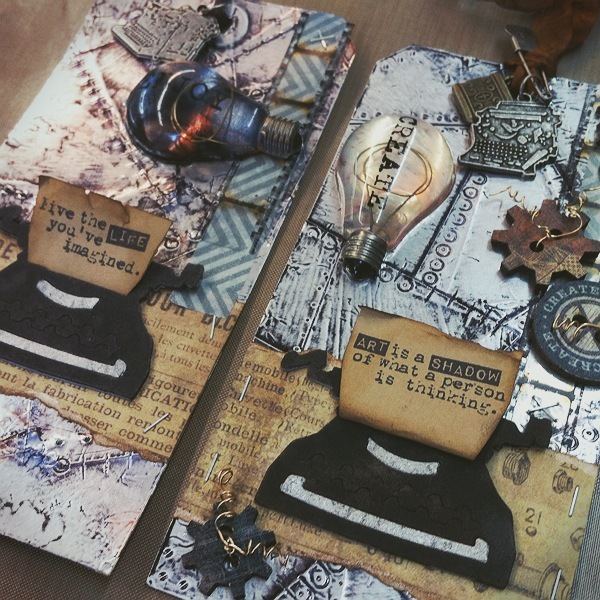 I was delighted to use some new Prima embellishments- these wooden gear buttons, typewriter charms and word lightbulbs are all new from Prima :) The washi tape is by MME, the letters, film strip ribbon & pin are all from Tim, as is the die, paper & stamp! I attached the buttons with some wire, which I curled a bit. She used alcohol ink on the back of the lightbulb- it looks super cool! 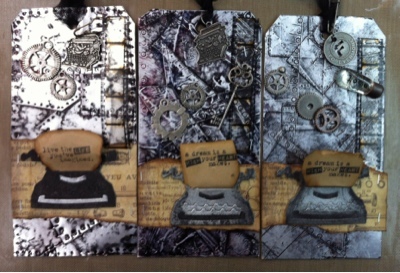 ... and here's all six of the finished tags! 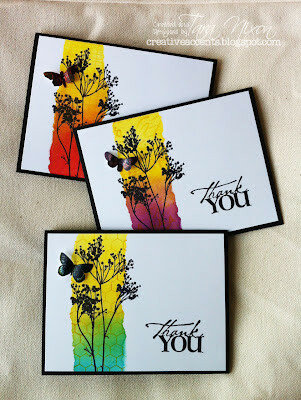 Thanks to Marianne, Barb & Janet for faithfully joining us every month- we love getting inky with you! It was great to have Linda join us, too! 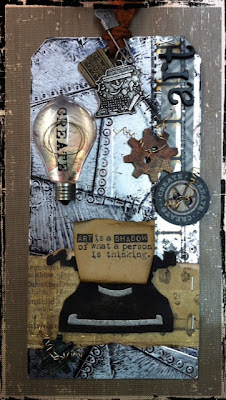 I love those lightbulbs, especially the inky one! Those tags are awesome!! 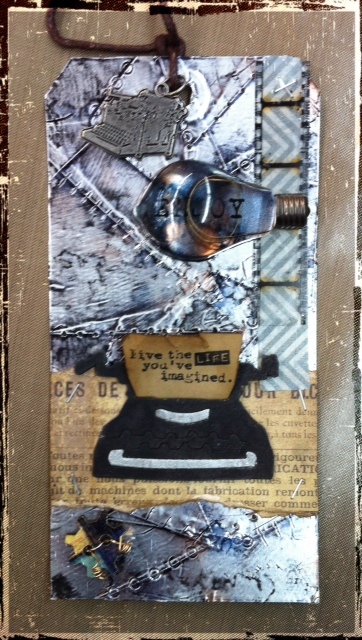 :) Love the typewriters and light bulbs! !